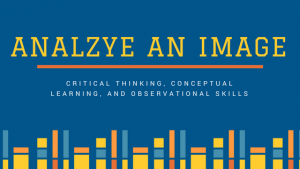 Students can develop thoughtful and meaningful skills while reading “not reading books.” Not reading books require students to focus on an image. 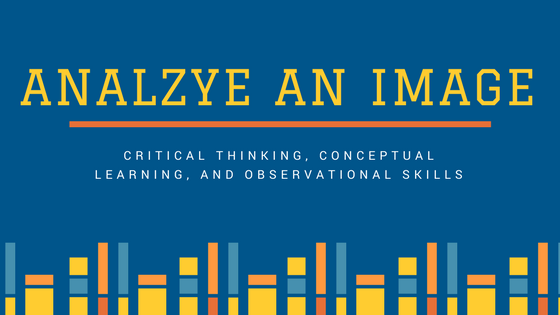 Books like I Spy or Where’s Waldo have the reader focus on the image and extract important details in order to complete a task. Many of these types of books also contain a short synopsis or history of the image. By asking the reader to find differences in images, these books are helping to develop critical thinking and recollection skills. Readers observe the image and are able to identify differences in colors, shapes, positions, and directions. Was Waldo facing to the left or right? Was the dinosaur purple with blue spots or blue with purple spots? I love cookbooks. Do I use all of the cookbooks I own? Absolutely not. I have a huge stash of old Southern Living magazines because I adore the recipes in them. We have quite the collection of cookbooks in our library. Students continuously circulate these books because they enjoy finding new foods. Do many students go home and actually make those food? Probably not. But, it opens up the door to discuss the importance of following step-by-step directions. 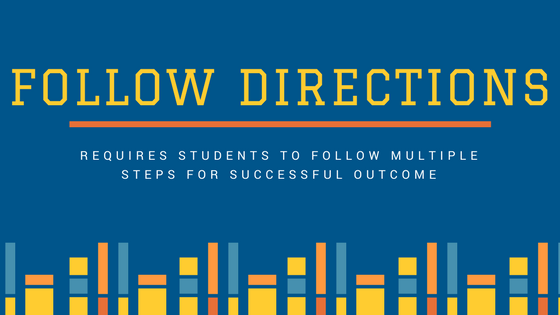 Following recipe or craft instructions requires students to follow multiple steps for a successful outcome. Did you skip creaming the butter and sugar before adding your dry ingredients (something my daughter does every time she bakes cookies)? If you did, then mixing the remaining dough is going to be tough. 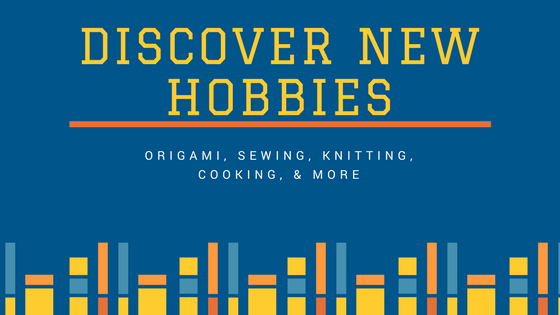 Finding a hobby you love is important for your well-being. Many students are pushed or pulled toward specific hobbies; many students are completely left up to their own devices. How can they discover what they truly like to do in their spare time? 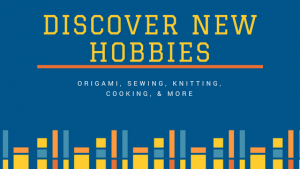 Craft books, sewing books, knitting books, and origami are just a few different books that allow students to explore new hobbies. Those books allow students to be creative and make something. Sewing books may even provide a gateway for older students into a fashion career. 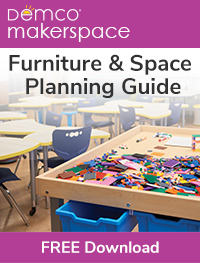 Not only do these books help students explore new hobbies, but it also requires them to read instructions critically and follow patterns. 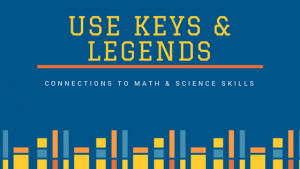 Books such as atlases require students to be able to read keys and legends. There are even legends in Where’s Waldo books. Our local chamber of commerce provides all of our second-grade students with a local map. Using printed maps is not a common skill in our technological day and age: however, students thoroughly enjoy locating our campus and their house. 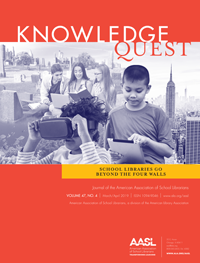 Core subjects such as science and mathematics require students to successfully use maps and legends to complete problems. 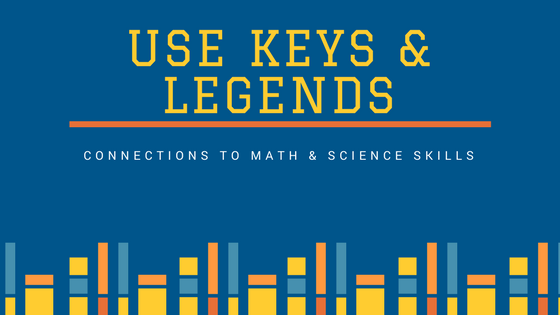 Keys and legends in maps provide students with the opportunity to identify important symbols and to use coordinates to locate pertinent pieces of information. Let’s face it. We, as adults, do not read only professional books. We do not only read books because they are on our reading level or because someone told us to. 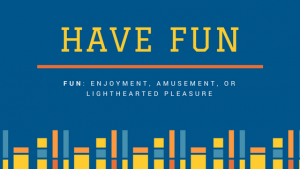 We read because we enjoy it. Reading is fun. I recently spent well over an hour with my daughter enraptured in those online “spot the differences” images that often fill up my Facebook news feed. Why? Because it was fun. Did I learn anything? Yes. I learned that you must look in the hair of people in the images for words because 9 times out of 10 something is hidden there. And, just for a bonus. 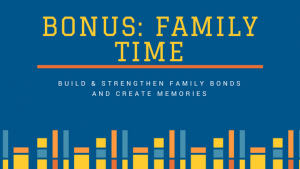 “Not reading books” may also increase family time for your students. Allowing students to take home a cookbook with a new recipe for cookies may actually create time in the kitchen with their family. Hobby books have the potential to generate conversations about what teachers and parents enjoyed doing in their childhood. “Not reading books” provide the perfect avenue for students to build and strengthen family bonds and to create lasting memories. Reading doesn’t always have to be on-level required reading. Reading should be fun. 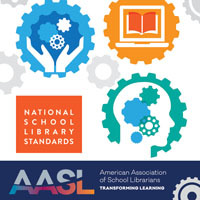 Our students shouldn’t leave our libraries with tears in their eyes because they really wanted the book about snakes, but it was a level 3.7 and they’re supposed to get level 3.2 books. 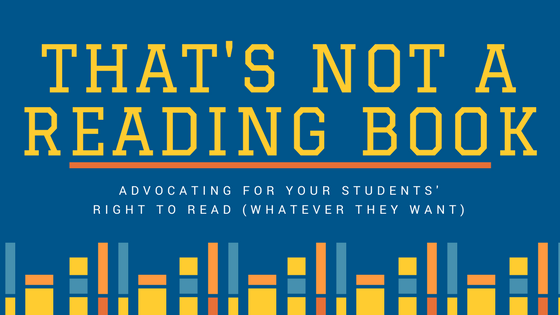 Allowing students to read “not reading books” help to develop lifelong readers, critical thinkers, and risk takers. Yes! Thanks for saying what so many of us have been thinking! Very important. My son is especially loves “not reading books” and I often find him curled up with a Biblical Archaeology Magazine or Sports Illustrated Junior. Any reading is improving kids reading skills and I will shout that from my corner of the world as long as I can. Thanks for a great article Ashley. My thoughts exactly!! Thank you for addressing this issue. Great article, Ashley! I am sharing this with my ELA teachers! “Not a reading book” is my favorite thing to read! I am currently working on my Masters and adding a library media certification. 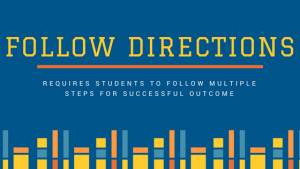 This is a great article for discussion for pre-service LMS students. I am going to share it with teachers and parents. We do not have any cookbooks in our library collection, but I think it is a great idea. 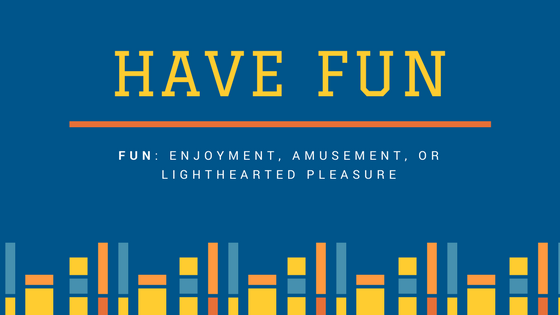 There are some fun ones out there for kids of all ages! Missy, I sent a mass email to all of our faculty and staff in our building. I asked for cookbooks or how-to books that they no longer used. We received several for our library, including some knitting, crochet, and craft books. The students love checking them out and creating at home.